The financial markets in Korea suffered as hopes were dashed about the prospects of an extension in the truce in the trade war between the United States and China. The main Kospi lost 1.20 percent to close at 2,177.05 on Friday, and the secondary Kosdaq also down 0.01 percent to 728.74. Investment spirit soured on the news that U.S. President Donald Trump told reporters that he may not meet his Chinese counterpart Xi Jinping before the deadline of the two countries’ trade war ceasefire. 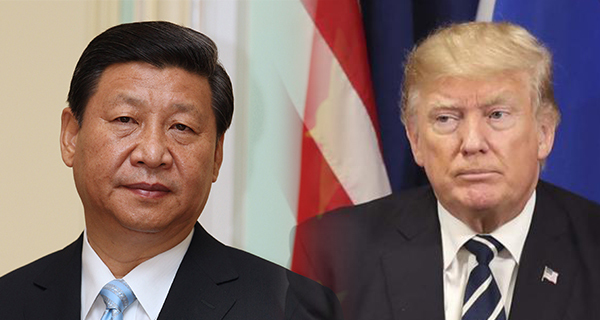 “No” and “unlikely,” said Trump shaking his head when asked if he would meet with Xi this month by reporters on Thursday (local time). The two leaders were expected to meet before the end of this month. U.S. tariffs on Chinese goods are supposed to increase to 25 percent after the March 1 deadline from the current 10 percent. The U.S. stock market overnight finished lower after the news. The Dow Jones Industrial Average ended 0.87 percent lower at 25,169.53, and the Nasdaq Composite 1.18 percent down at 7,288.35. The dollar was firmer, compared with a basket of currencies of U.S. trading partners.